Culture is such an intangible network of beliefs, rituals, language, and history that it is difficult to start this talk with a functional definition. 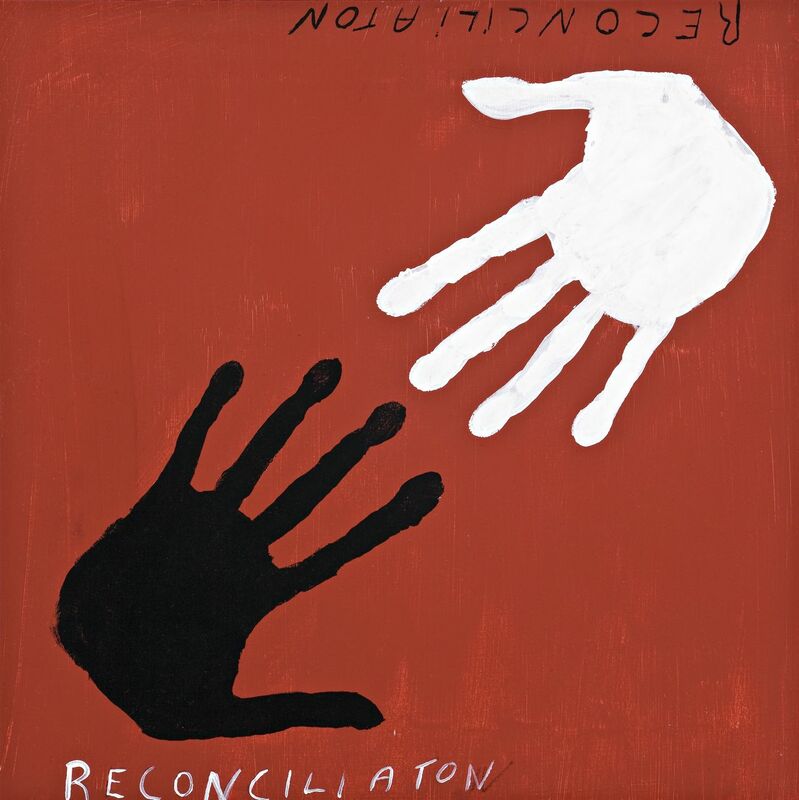 Similarly, reconciliation is a concept which is constantly evolving and adapting to changing situations. What is clear is that a culture of truth, forgiveness, and cooperation can foster the evolution of reconciliation and acts of reconciliation, in turn, can work to bring out the life-affirming aspects of culture. Together, a culture of reconciliation is our best hope to heal past injustices and foster individual and societal transformation. For the past eight years, South Africa has been in the world spotlight as it begins a new era after the end of apartheid. Legal and political changes have been put into practice but the strategy for social change is more difficult. The Truth and Reconciliation Commission was formed in South Africa under Archbishop Desmond Tutu in order to make public the crimes that were committed under apartheid. The set out to hear the cases of people who were aggressors with the government or with rebel groups as well as the victims of their crimes. Those who came forward with confessions have largely been granted amnesty by the Commission and many victims have been given compensation. The reparations are meant to help restore a sense of dignity to victims of human rights violations and demonstrate a commitment to a more just social order. The Commission has made the transcripts of the hearings and the decisions to grant or deny amnesty available on the Internet and is working in conjunction with Amnesty International to prevent the future violations of human rights. The Truth and Reconciliation Commission was a groundbreaking initiative to promote forgiveness and justice amidst the hatred of the past. Now, seven years later, can we say that the Commission has helped the reconciliation process? The evidence is difficult to decipher. It is clear that, in its attempts to reveal the truth about human rights violation, deep wounds were reopened and the process seemed to lead to anger and frustration rather than to a feeling of reconciliation. The granting of reparations seemed to lose its symbolic value given the worsening poverty in Soweto and other black townships. Crime has worsened and along with it, disillusionment and hopelessness among black and colored citizens and increasing fear and flight in the white community. I will address the question of what can we learn from this situation at the conclusion of my talk. The Pak Moon Dam destroyed five villages and livelihood of thousands of fisherfolk and their families. The dam is situated at the meeting of Moon and Mekong rivers near the border with Laos in Ubon Ratchatani province. Despite years of protests, the dam was completed in 1994 and the residents were displaced with the promise of reparations which have not been delivered. After the dam was operational thousands of villagers continued their struggle by erecting a range of protest villages near the dam and setting up a camp in front of the government house in Bangkok. In Bangkok, the villagers tried to voice their concerns and make officials and citizens aware of their cause. They organised themselves as the Assembly of the Poor, a People’s Organisation committed to representing the voices of the poor. During the decade of protests the Assembly of the Poor succeeded in using academics and NGO staff as resources rather than as the leadership, remaining consistent with their ideals of bottom-up emancipation. Today, what is left of the once abundant and peaceful riverside villages is the grand edifice of the Pak Moon dam, which has been described by the World Commission on Dams as a financial and environmental disaster. According to the commission’s study, the 136-megawatt dam can produce only 21 megawatts of electricity. Out of 265 fish species recorded in the Moon River, only 96 remained after the dam was completed in 1994. The rapids were destroyed forever. The artificially created “fish ladder”-meant to allow fish to swim upstream of the dam to spawn-does not work. Income from reservoir fishing is exaggerated while the catch upstream of the dam has declined by 60-80% (Oct 23, 2000). A preschool center that is run by volunteer teachers was built. However, the efforts of the villagers were thwarted again. In November 2000 a fire of unknown cause destroyed part of the settlement community. The Electricity Generating Authority of Thailand, EGAT, the owner of the dam, admitted it had hired people to “politely request the villagers to vacate the location”. These hired people used gasoline to destroy 200 homes and the local school. Most recently, a large number of unnatural fish deaths were discovered in the water near the dam. It appears that some type of toxin or poison had been put into the water with the hope of killing the fish. The villagers took evidence of the destructive act to the provincial government asking for an explanation and are awaiting a response. Despite all the obstacles to the people’s movement, there has been progress. The media played an important role in supporting the hope that government can change its policy towards the underperforming dam. A TV forum moderated by an academic and journalist, recently elected Senator, was groundbreaking in raising the consciousness of the public. I remember the deeply moving outcry of hope and determination from the crowd of villagers during the forum at the moment that I proposed to “destroy the dam”. That was one year ago and since then a new Lower House was elected and a new government was formed under Prime Minister Thaksin which took the concerns of the villagers seriously. I contributed to this process among others by bringing together the Assembly of the Poor activists and representatives of the World Bank through the World Faiths Development Dialogue group of the World Bank and the Voices of the Poor programme. The Minister of Justice will ensure that the over 100 lawsuits against the Assembly of the Poor will be handled fairly. Suspension of all field trials of genetically modified crops and the participation of farmers, consumers, and academics to draft a biosafety act. Wanida Tantiwittayapitak, adviser to the Assembly of the Poor, said that the time was right for an agreement to take place. She said, “It is about time to go home. If the villagers stayed here a little longer, they would become urbanites. Indeed, they have started scavenging for recyclable garbage. That is a sign of becoming urban poor.” Her comment may provide insight into the case of South Africa where urban poverty overwhelmingly affects the black community. As Wanida said, urban poverty has a dehumanizing effect. Scarcity, despair, and alienation from nature creates a culture of “kill or be killed” and individualism seems the only strategy for survival. In such situations, there is a deep need for a culture of reconciliation and it must come through skillful means. Truth, forgiveness, and renewed strength must be fostered but grounded in indigenous traditions and wisdom. The plight of poor, agricultural communities was a large issue in the national election last year and the current government won based on its populist platform. The villagers see that the current government has a vested interest in assisting them but they have must less faith in EGAT, the electric company, which continues to be openly hostile. When asked about reconciliation with EGAT, one villager responded, ” We won’t be stubborn about agreements and reconciliation. If they agree to our demands, then we will be ready to move ahead.” Almost all of the villagers expressed anger towards EGAT and this is a part of the process of reconciliation. Anger is part of the human experience and should not be ignored or suppressed. For the process of reconciliation to occur it is necessary to be able to express and understand anger without judgement. The move from anger to reconciliation requires mindfulness. Mindfulness is a process of awareness and consciousness that helps us to see the reality of interconnectedness and the universality of suffering. When we have this realization we see that anger directed at other living beings is futile and we are called to act with compassion. The path of mindfulness and realization is not necessarily a linear one. Along this path are periods of stagnation, failed attempts, and retrogression to anger and despair and we must be prepared for this. 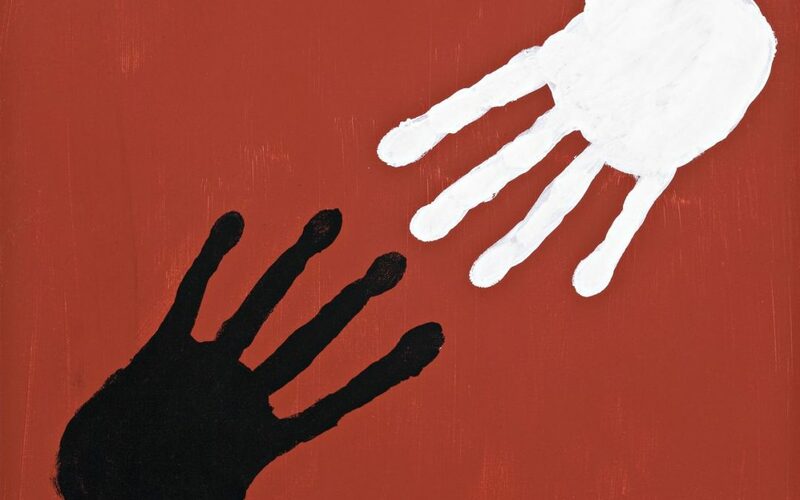 When we have setbacks we depend on our friends, allies, and supporters to help us through it and our awareness of interconnectedness is strengthened. The villagers at Pak Moon and the Assembly of the Poor are conscious of this fragmented process. They honest about the futility of talks with previous governments but still see the need to fully commit to engaging with the government and see obstacles as part of the ongoing process. It is more difficult to understand how the violent acts of EGAT are part of reconciliation. Yet, when confronted with the challenge of the burning of their homes and the poisoning of the water, non-violence in thought and speech emerges as the wisest response and the way to continue on the path. Frustration at misinformation and propaganda is a big source of anger for the villagers and revealing misinformation is a component of the reconciliation process. One man said, “The government is not sincere and hides information. They only publicize good things. Villagers are dissatisfied with misinformation and the violations that come from misinformation.” The need for a clarification of misinformation is very similar to the logic of the Truth and Reconciliation Commission in South Africa. The report of the World Commission on Dams documenting the impact of the dam has provided the scientific evidence for the villagers’ version of the truth. In the discussions with the current government, the report helped persuade bureaucrats and politicians that the plight of Pak Moon is creditable. In the process of reconciliation we should use all possible allies to foster cooperation. In my experience, I have seen that unlikely people or organization often act as allies and help in crucial situations and when there are contesting versions of truth, we must build coalitions. Reconciliation is the awareness of interconnectedness that leads to creative innovation. The construction of the dam illuminated the dependent co-arising of all sentient beings at Pak Moon and a theme within an understanding of reconciliation is the need for the cooperation of the government and EGAT to restore this interconnectedness and revive the culture and dignity of the villages. Innovation and creativity are crucial elements in the process of reconciliation. Forgiveness and a correction of past wrongs are not enough, there must be cooperative efforts at constructing a new and better reality. The issue of collective guilt has received a lot of attention since World War II and has been applied to German and American military aggression. Collective guilt may be a necessary stage towards reconciliation: people should face the truth and their responsibility for it but it can become a paralyzing force which prohibits growth and reconciliation. By attributing guilt to ethnic identity or race, individual power seems irrelevant and personal acts of forgiveness seem to have no place. A mentality of collective oppression and victimization is a dualistic way of thinking and the concept of non-dualism is an important one in Buddhist thought. The binary distinctions between good and evil, East and West, knowledge and intuition, are obstacles to insight and action. From a non-dualistic perspective, we are all both aggressors and victims and must not embrace only one identity. Instead, we must be mindful about how we can best affirm life and foster compassion in the family, community, and world. Reconciliation thereby entails understanding the many causes of hatred and greed in the world, acknowledging the shared struggle of humanity in overcoming them, and translating this awareness into life-nurturing actions. Life-nurturing actions include everything from daily acts of kindness to improvements in health, education, housing. What is implicit in any act of reconciliation is the idea of being part of a greater whole, a web of interconnected relationships. Each being in this web of relationship is like a gem in the jewel net of Indra, each jewel reflects the beauty and radiance of every other jewel. Reconciliation requires seeing the world as it is, not as we wish it to be. We cannot make compassion dependent on a transformation to the ideal, we must begin with reality if we have any hope of influencing reality. Even the most flawed people have Buddhanature, and reconciliation begins with the acknowledgement of common humanity and shared suffering. Once we let our ego get in the way of common struggle, we can get caught up in the idea that we are superior to others and have a responsibility to teach them or forgive them. Social transformation begins with our ability to understand our relationship to others and transcend our own attachment to pride and delusion. The case of racial reconciliation in South Africa and the loss of livelihood at Pak Moon are very different examples of the need for reconciliation. The reconciliation that is occurring in South Africa is more complicated that Pak Moon given the historical and racial background and I do not mean to imply that the strategies used in Pak Moon would automatically be appropriate for South Africa. I bring up the case of South Africa in order for us to see the need to move beyond the dualistic thinking that believes that reconciliation is only forgiveness or compensation between oppressors and victims. The case of South Africa is a testament to the fact that political changes and monetary compensation cannot transform deep-seeded anger alone. There must be a spiritual component to reconciliation and this must occur in the individual, family, community, and nation. Our common project is to nurture this spiritual transformation in ourselves and our communities so that we can address the urgent needs for political and social reconciliation and be the foundation of a more just society.